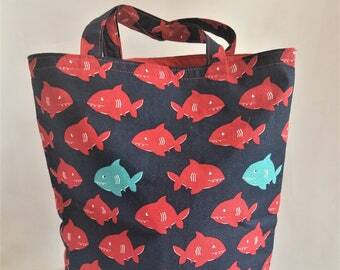 Fabric tote bags are great for giving gifts. The Aztec design of this bag gives it a stylist western look and will stand out. 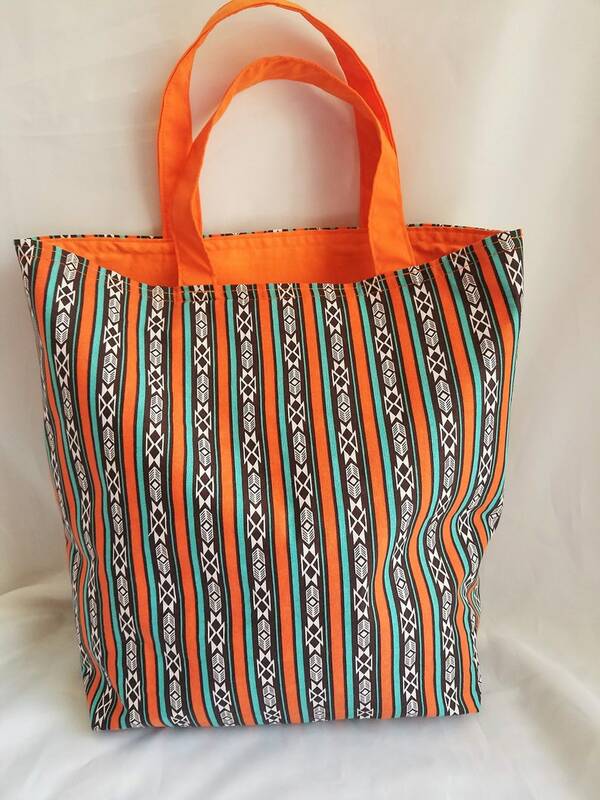 It is made of soft cotton fabric with orange, black, and teal colors with an orange lining. It has interfacing to give stability, there is no pocket or closure on this bag. 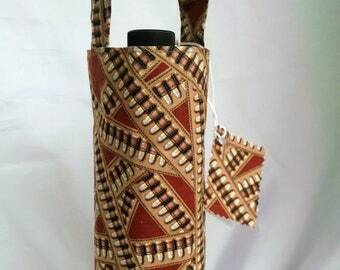 This bag measures 13" tall, 13" wide and handles are 4" from top of bag with a 4" flat bottom. They are reusable, durable, and can be used for many different purposes. Fabric bags won't end up in a landfill like paper gift bags from the dollar store, these will be a gift within a gift.